We are currently looking to purchase CFM56-3 engines, both serviceable and un-serviceable. Please contact us by phone or email to discuss. We have more than 20 CFM56-3 engines available right now for immediate sale or lease. Please contact us with your requirements. 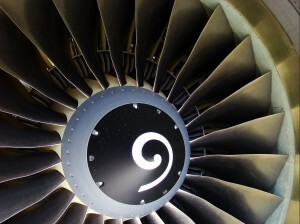 European Aviation Ltd and Skybus LLC specialise in the sale and lease of CFM56-3 and CFM56-5 engines, and have one of the largest stock holdings of both CFM56-3 and CFM56-5 engines for sale in Europe and the USA. We can also provide CFM56-3 engines on lease to customers worldwide. We are constantly looking to purchase both CFM56-3 and CFM56-5 engines, so please call or email us if you have them for sale. As part of the international European Aviation and Skybus group of companies, we have over 25 years of experience in the aviation industry. From our EASA Part 145 approved Boeing 737 MRO facility in the United Kingdom and our facilities in the USA, we can provide serviceable CFM56-3 engines for sale or lease at short notice. As a Boeing 737 MRO we can also provide engine installation services, as well as engine maintenance and overhaul through our strategic partners. Unlike a lot of other companies, we are not brokers. We own all of the engines that we have for sale, so you will be dealing directly with the vendor, saving you time and money. Please contact us by phone or email to discuss your engine requirements in more detail.